The study of 2,000 UK adults found those who get out on the right side of the bed are more likely to wake up feeling tired and grumpy than those who get out of bed on the left. 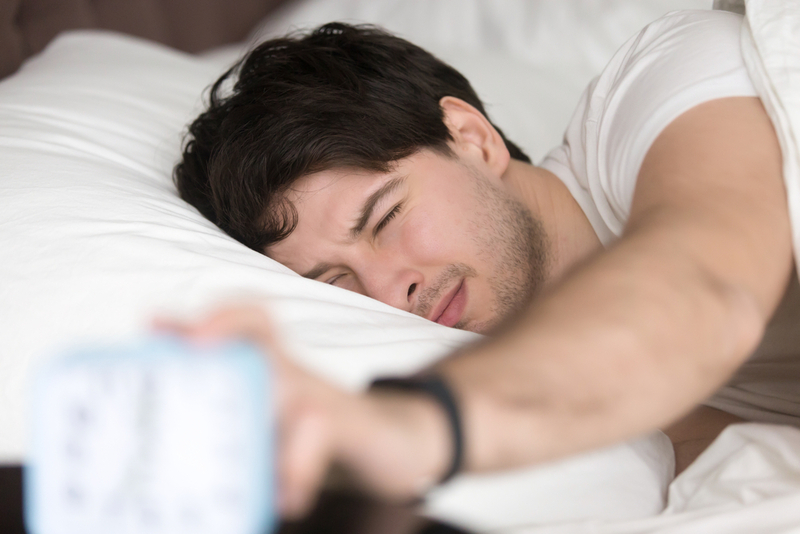 People who get out of bed to the right also take longer to shift their bad mood and are more likely to see their work affected by their tiredness. The survey also found nine in ten Brits wake up still feeling tired on three mornings a week, with the average adult saying it’s almost 10am before they start to feel properly awake. A spokesman for iron supplement Spatone, which commissioned the research, said: ‘When you are obviously tired and grumpy, one of the first things people will ask you is whether you got out of bed on the wrong side. ‘And while we would usually just laugh back, it seems it really can be the case, with the right-hand side the worst to get out of if you want to feel happy and ready for the day ahead. The survey was part of a campaign which we worked on with our partner company 72Point, and was accompanied by a video produced by them. The campaign achieved mass news coverage, and landed in major print publications such as The Daily Mirror, The Sun, The Daily Express, The Daily Record and The Scottish Sun. In addition to this, the campaign also achieved mass digital coverage, landing in publications such as Mail Online, The Express and The Mirror.